Prices may change. Book now to reserve your price! Your Film + Our Editors = A Fantastic Highlight Video To Show Off! Imagine an app that your guests use to have fun and film special wedding moments. Your Film + Our Editors= a fantastic highlight video to show off! 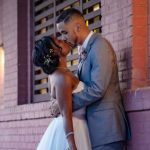 You know it's all the little moments that make your wedding uniquely yours...tell your wedding day story with Weddeo's highlight video package! Invite your friends and family to upload the candid moments of your wedding day to our free app, and our professional editors will create an amazing highlight video with all the best moments of your wedding, ready to share on your favorite social platforms. The Weddeo app is a fun, unique way to involve your guests at your wedding, and with your professionally-edited Weddeo highlight video, everyone gets to see how the moments they captured helped tell the story of your wedding day! "What can I say??? My ENTIRE experience with Weddeo was nothing short of amazing. 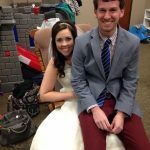 When we initially started planning our wedding, we knew videography was at the top of our list... However, the more research we did, our hopes of having our amazing day filmed, were growing more and more grim by the day. We simply didn't want to break the bank. One day, my fiance was doing some research and found Weddeo. At first, I was skeptical, but after researching other companies, and scouring the web for reviews, Weddeo was the OBVIOUS choice. ... The fun part about this entire experience was that we had candid images and video from various perspectives throughout the evening! Once Weddeo did their editing magic, we received an amazing wedding video which captured every aspect of our day - which we'll have forever! :) So...Here's a recap: Downloading the Weddeo App. Seamless. Receiving the HD video equipment. Seamless. Easy to follow instructions? Seamless. Sending back the equipment? Seamless. If you want a videographer at your wedding, but can't afford or choose not to use a chunk of your budget to hire one, Weddeo is your answer!" Working with Weddeo has been nothing but a positive experience. Due to budgeting for a large wedding, we were leaning towards not having a videographer because of the expense. Weddeo was such a great idea and definitely in our budget. Our guests loved helping out in trying to capture our special day for us too! I was even more grateful for Weddeo when we found out our photographer had permanently lost more than half our wedding photos before they were downloaded. As you can imagine, we were devastated. As my mom was trying to console a crying bride, she decided to reach out to the great staff at Weddeo to see if they could help! They sent us some of the wonderful pictures my guests captured that were uploaded through their Weddeo app. They went above and beyond to try and help us get back those photographed moments that were lost. We were grateful for their support when it wasn't even their problem to begin with. They truly care about how their customers and want you to relive the most amazing moments from your special day! When you choose Weddeo, you aren't just getting a high quality video of your wedding day, you're getting a staff of people who care about you and truly want you to remember how magical your wedding day was." Don't Delay, Purchase Now To Reserve Your Spot! Click below for pricing and payment plans.